Redondo Beach Waterfront: What’s next for 2019? The South Bay coastal city, with a list of repairs and interruptions from lawsuits, will take on several notable harbor improvement projects in the coming year. REDONDO BEACH — Chronicling the drama behind Redondo Beach’s waterfront project has been interesting to say the least. Residents who attended a California Coastal Commission meeting in October, for example, were being served lawsuits from representatives of CenterCal. There have been horrible accusations from both sides of the battle. 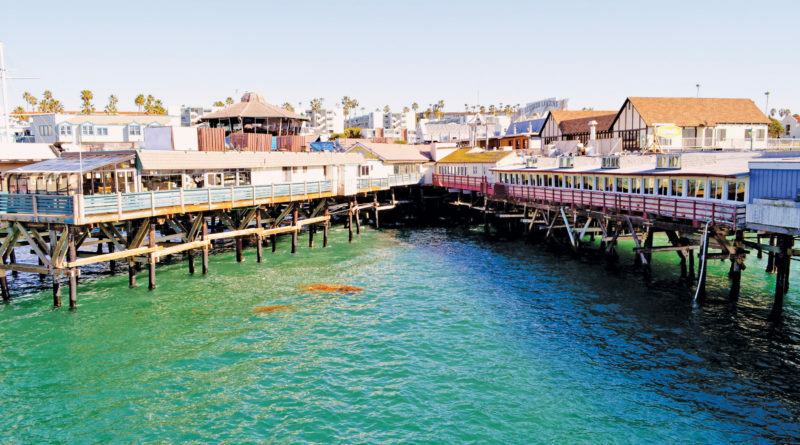 Editor Parimal M. Rohit even called out two separate news stories covering the same topic concerning Redondo Beach, but strangely each story conveyed a completely differing outcome. In equally bizarre news concerning the recent lawsuit against Council member Nils Nehrenheim, Mayor Bill Brand, Brand’s campaign treasurer Linda Moffatt and Rescue Our Waterfront foundation, it was reported by several news outlets that Redondo Beach LLC, a subsidy of CenterCal, had paid the plaintiffs’ (Arnette Travis and Chris Voisey) legal fees. However, the judge ruled in favor of the defendants and also called Travis and Voisey shills – or accomplices – to CenterCal’s development that was not a fit for most residents. The aftermath of the “dead” waterfront development has indeed been bitter, but Redondo Beach still has several projects on tap for 2019. Here’s a breakdown of what could be expected in the coming year. In January 2018, the poor condition of Sportfishing Pier in King Harbor forced it to completely shut down due to safety issues. A vendor from T’s Toe Rings & Gifts reportedly had fallen through the floorboards, according to Fred Brunning, CEO of CenterCal. Moffatt & Nichol, a reputable marine engineering firm, surveyed locals and is planning to design the new pier. The survey results, unsurprisingly, showed residents wanted sportsfishing amenities and features to be the center, followed by the pier building, floating dock and public outdoor features. Commercials operations were lower on the list. The placement of the boat launch ramp was a major concern when the new waterfront development was being questions. In October, the Coastal Commission amended Redondo Beach’s Local Coastal Plan (LCP) to include the development of the boat launch ramp. Mole D was considered the “Cadillac,” – or premier – spot after the three public feedback meetings that took place earlier this last year. In a past interview session, Redondo Beach Council member Laura Emdee, who was a supporter of the CenterCal project, stated there needed to be a hard reset and the crumbling parking structure should take priority. Parking regulations and traffic circulation were also added to the amendment of the LCP by the Coastal Commission. Typical of many seaside cities, parking space is a concern to locals. Nehrenheim previously stated the project would likely undergo feedback sessions again to decide on the direction. The lawsuit’s outcome could see CenterCal’s part in the project officially over and done. The California Coastal Commission recently stood by the will of the people in voting on Measure C and agreed the project would include conditions amended into the LCP. There will be much to watch in 2019 as Redondo Beach staff and its citizens work to revitalize King Harbor.